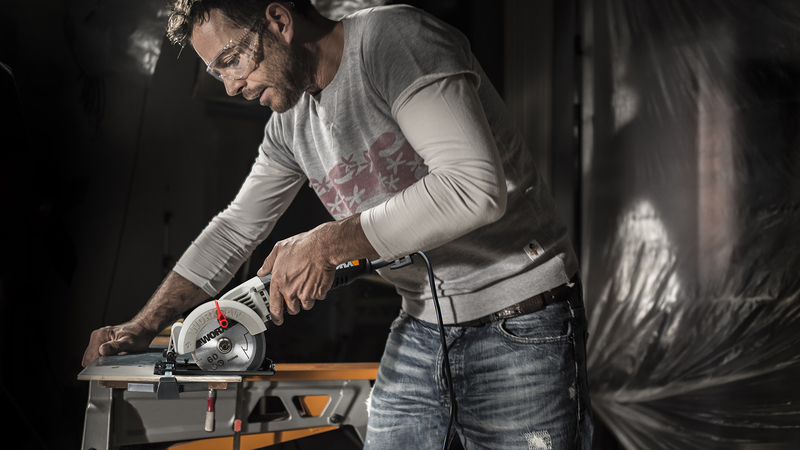 The new WORXSAW new Compact Circular Saw is capable of cutting a 2x4 in a single pass. The compact circular saw features a 4-1/2 in. blade that is up to 50 percent lighter than a full-size 7-1/4 in. circular saw. “It won’t be long before deck building permits will be filed with local municipalities and this compact saw is ideal for cutting deck planks,” said Sharon Blackwell, WORX product manager. 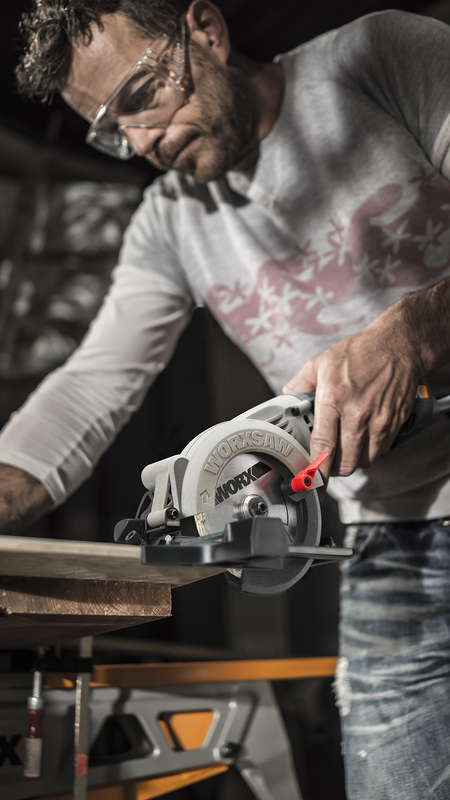 The new WORXSAW Compact Circular Saw is capable of cutting a 2x4 in a single pass. The compact circular saw features a 4-1/2 in. blade that is up to 50 percent lighter than a full-size 7-1/4 in. circular saw. The compact saw weighs only 4.4 lbs. so it is easy to transport and maneuver, especially when cutting overhead. Its slim, inline grip design provides comfort, balance, and control. Plus, it’s great for cutting trim, siding and sheet goods, as well as plunge cutting jobs without the bulk or weight associated with full-size saws. The saw’s 4-1/2 in. thin kerf blade is less than half the thickness of larger 7-1/4 in. circular saw blades. The smaller, thinner blade takes less effort and motor strain to cut through materials. At 4 amps, 3500 rpm, the saw can handle the jobs of full-size circular saws. The compact circular saw features a left-handed blade design for greater cut line visibility. Its metal retractable lower blade guard is the same as those found on traditional circular saws. There’s a depth-of-cut adjustment lever for quick and accurate blade height setups up to 2 in. The saw’s bevel cutting capacity is 0-45°. A push-button arbor lock provides fast blade changes. The WORX saw has a 3/8 in. arbor. The saw’s maximum cutting depth at 90° is 1-11/16 in. and its bevel capacity at 45° is 1-1/8 in. In addition, the WORXSAW Compact Circular Saw has a dust extraction port and a 1-1/4 in. vac adapter for dust collection. The WORXSAW Compact Circular Saw accessories include a 4-1/2 in., 24-tooth, carbide-tipped blade, vac adapter, parallel edge guide, and allen wrench for blade changes. The saw also has a 10 ft. power cord. The compact saw is covered by the WORX 3 year warranty. The WORXSAW Compact Circular Saw (WX429L, $59.99) is available at http://www.worx.com and other online retailers including Walmart, Home Depot, Amazon and Menards.